The Japanese started to cultivate square watermelons and I wanted to see if we can do it too. I have also done letterwork on the inside of the box to see if we can “emboss” the logo on the watermelon. We can’t wait to see how it turns out, but we’ll have to be patient. 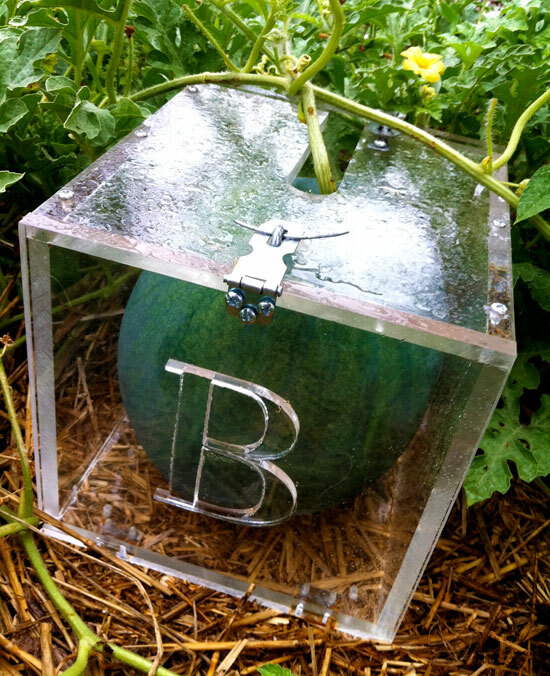 in the meantime, you can read more about square watermelons right here. Yesterday, I saw en tasted for the first time a golden yellow watermelon. Fabulous!